PACE bowler Jack Popham is out Devon’s side to play the University of Exeter at Sidmouth today due to injury. Popham has had a wretched run of injuries ever since he joined Gloucestershire for the summer of 2016. He broke down playing for Devon against Dorset in 2017 and has not played a three-day game since. The injury jinx struck again when Devon played Wales at North Devon last season. One over was all he was able to get through in a T20 match. Popham soldiered on in league games for North Devon until the end of the season, although not always at full pace. Club and county hoped Popham was over his injury hoodoo, but nine balls into the pre-season game between North Devon and Werrington he suffered a groin strain. Popham is an explosive bowler who makes things happen, which is why club and county will hope his latest injury is not long term. As Devon had 13 in the squad to play the Students, they have not replaced him. 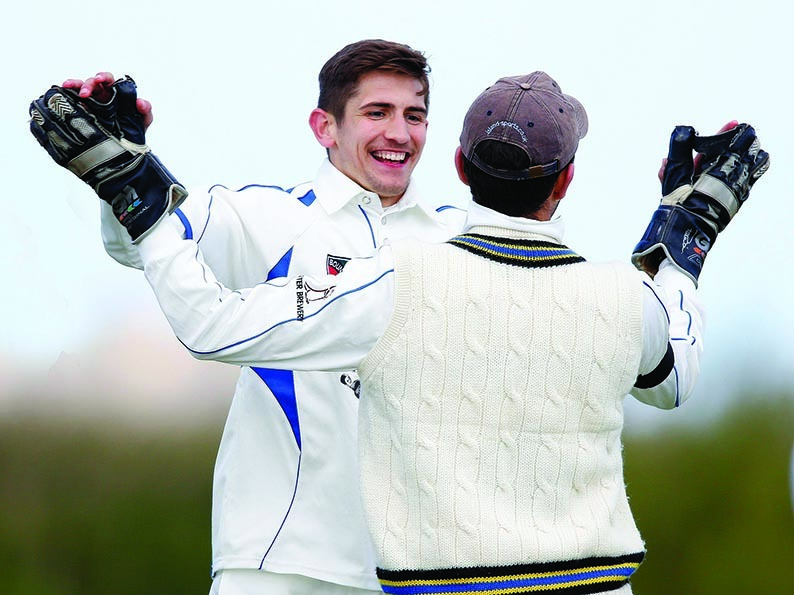 Devon lost by 74 runs to a strong Somerset 2ndXI at Instow last Sunday in their opening warm-up match. Although skipper Matt Thompson made a point of prioritising performance over outcomes against Somerset, he was pleasantly surprised on both counts. “We were not perfect but against a team who have been hitting balls all winter we put in a huge effort,” said Thompson. “Individually, the batters had time in the middle and bowlers got to bowl on grass against quality opposition. Thompson and the team management picked the squad to face the Students before the Somerset game. Inclusions and omissions are not related performance related. “This game is also about players doing what they do and getting overs under belts and time in the middle,” said Thompson. “The same eleven seldom plays in consecutive games and what we are looking for is strength in all the disciplines. New players brought in to play on Sunday include batters Alex Barrow, Luke Bess, Dan Pyle and George Allen, all-rounder Matt Skeemer and spin bowlers Matt Petherbridge and Ed Middleton. Devon v University of Exeter: M W Thompson (St Fagins), A W R Barrow (Sidmouth), J A Stephens (Taunton Deane), M Pugh (Torquay), L F O Bess (Sidmouth), D R Pyle (Heathcoat), G B Allen (Torquay), M P Skeemer (Cornwood), E W O Middleton (Exeter), T J R Codd (Bovey Tracey), Z G G Bess (Sidmouth), M J Petherbridge (Plymouth). Harris, who died aged 82 in late March, was a professional cricketer with Somerset, a Minor Counties cricketer with Suffolk and Devon and a club professional and groundsman at Sidmouth and Exeter CCs. John Harris’ funeral will be held at the Parish Church of St Giles and St Nicholas in Sidmouth on Wednesday, April 17 (noon).